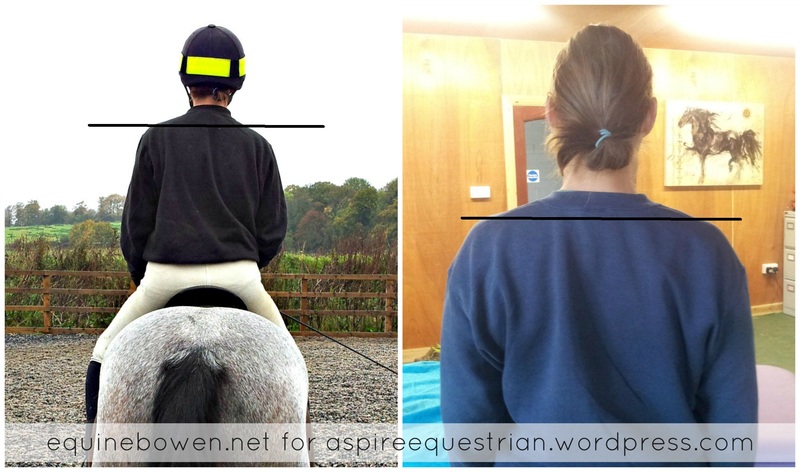 Aspire Equestrian’s Team Instructor, Mariana Broucher: BOWEN to complement riding lessons? 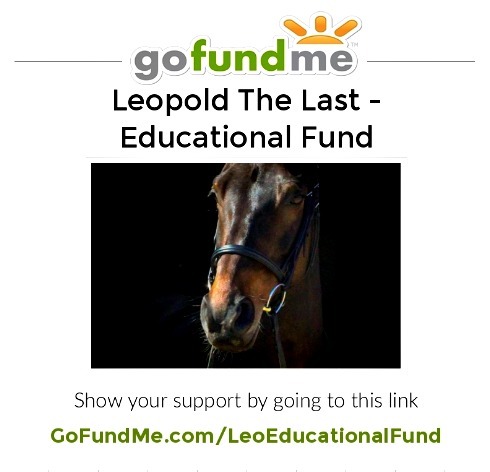 I have qualified as a riding instructor nearly 20 years ago now and have been teaching practically ever since. I have also qualified as a judge, because I wanted to be able to see more and understand more. Then I found out about the Bowen Therapy and now I think I have found the missing-link in my teaching and training. If a horse is having problems making a symmetric circle, no amount of inside leg and outside rein is going to help if the horses back or poll is out. Likewise if a rider’s hip is rotated, the horse may pick up wrong canter leads or disunite. So to be able to progress and get better, we have to not only learn to ride theoretically, but we have to be physically able to follow instructions. Just ask yourself: Have you been having problems with your horse on turns and circles, canter lead or jumping? Take a moment to consider how you are sitting in the saddle. Are you balanced, with your weight evenly distributed? Are your stirrups the same length? Are you sitting over your horse’s centre of balance? Pain and tension often goes unnoticed (or ignored) in riders as the body is very adept at compensating; after a period of time however, you ‘mysteriously’ begin to feel pain in for example, your shoulder. Sometimes this pain is actually referred pain, in other words, the original problem may have been in your knee but the pain is now being felt in your shoulder, and so on. By helping to relieve pain and tension, Bowen encourages the rider to provide a more even, balanced weight on the horse’s back. An unbalanced, crooked rider often results in an unbalanced, crooked horse – and vice versa! S. had problems with her horse’s general way of going. She struggled to keep him in an outline and he was always stiffer on one rein. He had trouble to canter on one rein. S was aware of her problems. She knew that she carried one shoulder higher, that her arms where stiff and her back not very supple. As a result she would ride with very short stirrups to make it more comfortable for herself. S spent lots of time and money trying to fix her problems; she had many lessons and even learnt a series of exercises to help her straighten up. It didn’t work, because the back pain and tension in her shoulder just wouldn’t ease off, so she couldn’t straighten up. Bowen has helped her a lot. The pain and tension went and she can now use the exercises and lessons to be more aware of her body and finally progress in her riding. This mounted photo was taken before S had Bowen. The left shoulder is much higher then the right one. The photo on the right shows S after her treatment. She is now much straighter. Bowen? I have never heard of this before. Is it like chiropractic? Maybe it is a regional thing?